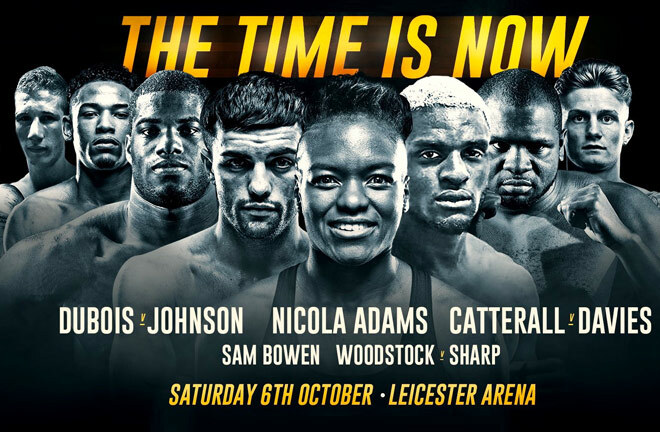 ProBoxing-Fans.com reporter Paul Mason takes a look back at Saturday night's Frank Warren Promotion card at the Leicester Arena. Saturday night round up of Frank Warren Promotions The Time Is Now Card. It would prove to be a mixed bag at the Morningside Arena, Leicester on Saturday night, as a few tough watches were bookended by an impressive knockout win, and a barnstormer to finish. The main event of the evening saw Chorley’s Jack Catterall see off O’Hara Davies via unanimous decision in a dour affair. In a fight that never got going, despite all of the pre fight promise, Catterall showed a little more desire and urgency to win than Davies did, and that’s ultimately what won the fight. The rounds were hard to score, with both men reluctant to commit, and it was a tough watch. Catterall kept his WBO Intercontinental Super Lightweight Title by scores of 115-113 (twice) and a too wide 118-110 score from the third judge. Thankfully the best was saved for last. In a fight that finished well after 12:30am, Someone’s “0” had to go as the old saying goes, and it was Beaumont Leys, Leicester’s Lyon Woodstock who lost his unbeaten record in a barnstormer against Welling’s Archie Sharp. Sharp surprised me having never boxed at this level before, and boxed beautifully throughout. Woodstock was floored in the opener with a well timed left hook on the counter. Woodstock always seemed second to the punch as “the sharpshooter” regularly had the final say in exchanges. Woodstock had successes of his own, but all three judges saw the contest 96-93 as Sharp picked up Woodstock’s WBO European Super Featherweight Title. The BT portion of the show opened with some much needed exposure for Ibstock’s British Super Featherweight Champion Sam Bowen. “The Bullet” didn’t waste his opportunity to shine, and picked up the WBO Intercontinental Title with an impressive fourth round knockout victory over Horacio Alfredo Cabral. A sickening body shot ended matters, with the Argentine unable to beat the count. Hopefully this unlocks a few doors for Bowen, who has been quietly going about his business without television backing thus far. Nicola Adams picked up the interim WBO Flyweight Title, and looked comfortable enough against tough Mexican, Isabel Millan. Millan didn’t back down, and was competitive throughout, but Adams prevailed 97-93 (twice) and 96-94 on the cards to set up what promoter Frank Warren believes will be a shot at the full WBO Title on the Josh Warrington v Carl Frampton bill in Manchester in December. Arely Mucino is the current holder. It was always going to be an impressive stoppage win, or a laborious wide win for Daniel Dubois against tough veteran Kevin Johnson, and it unfortunately proved to be the latter. Dubois was forced to go the distance for the very first time in a fight which will prove a good learning curve going forward. Once a WBC Heavyweight Title challenger, Asbury Park, New Jersey native Johnson is now content to survive contests without hardly throwing a punch of his own. From early on it looked as though Dubois would have to settle for the long route, as he struggled to get through the American’s extremely tight guard. Johnson shipped a lot of punches, but was never badly in trouble and saw the final bell, with the referee awarding the contest to “Triple D” by a score of 100-91.